How Do You Know if Your Dog Would Make a Good Service Dog? – ComeHereBoy! How Do You Know if Your Dog Would Make a Good Service Dog? Arwen’s always been wary of other dogs, and recently she’s been attacked by more than one loose one. Every time, it sets her training back and I have to nearly start again with coaxing her into ignoring dogs. Along with that, she has never enjoyed being touched. We got her at nine months old around eight years ago and she was already touchy. She tolerates being touched because of training, but she definitely doesn’t enjoy it like some dogs do. She loves me – from a distance. Despite those personality quirks, she is a great family dog. She’s never so much as snapped at any of our three kids and she picks up training far more quickly than my German Shepherd, Bronco. She has her AKC field championship. She’s won a three-point major at a dog show. But she’d never make a good service dog. Contrasting her with Bronco brings to mind immediate differences. He has a great personality for a service dog, despite having been a stray dog for who-knows-how-long. He loves being touched, he’s attentive to my every move, stares into my eyes and is always near me (generally lying on my feet.) From the beginning of his time with us, he’s had the qualities needed for a psychiatric service dog. Not every dog, even with years of training by a great trainer, or with a great breeder, can be a reliable service dog. So if you’re wondering if your dog or an older dog you’re looking at getting really would make a good service dog, how do you know? I have a few tests that you can do to help you decide whether you have a good psychiatric service dog prospect for anxiety. Remember, no test is perfect and even the very best trainers have dogs that test fine, but then “wash out” (are unable to continue training as service dogs). Not every dog will be right for the job. Try really hard to be breed blind, unless you really need a specific breed. Personality is so much more important than looks. The best part about adult dogs is you can get right to work on training. You can test their temperament and know pretty well what they’re going to act like. Health testing can be done immediately (or already has been taken care of), so you don’t have to spend two years training a puppy only to find out he’s got bad hips and can’t be a service dog. I also prefer to skip the puppy years. I love puppies, don’t get me wrong, but puppy chewing and housetraining and nipping is such a hassle to get through, even for experts. And then there’s the worry that your puppy might end up with the wrong personality as well. Even the famed Volhard test isn’t always right. – Two people who are strangers to your dog. If you can get three – one male, one female and one child (and even better, different skin colors or beards/clothing), you are more likely to get a better understanding of the dog’s temperament. First, I tell my helpers that they’re going to act as strangers to my dog so I can see what my dog does. I tell them I’m also going to have them take notes so I know what my dog is doing during the test. If you want, you can also video-record the test, so you can go back and watch it yourself. If you can have someone write and record at the same time, definitely do both! Always have your dog on a loose leash. Stress yawn, “whale eye”, licking lips, heavy panting. If this is your dog that you’ve owned for a while, an extremely good response is for them to only have eyes for you during the testing process. You and one of your helpers walk toward each other. You have a short conversation while the helper ignores the dog. You say goodbye and pass each other. An A+ response is a dog that observes the stranger and shows interest, but doesn’t jump, demand attention or act aggressive. If a dog growls or acts at all aggressive or uncomfortable, the dog is not a good candidate for service work. Some definite “no’s” are hackles raised, intense staring and stiff legs. When a dog jumps all over a person, licking their face and bouncing around, you’re probably looking at a dog that is too hyper. This can be trained, but this type of dog will likely find service work too stressful as it requires a calm temperament. Any dog that cowers, backs away, pees or otherwise acts frightened is not going to be a good service dog. A service dog has to have steady nerves, and a dog that acts frightened like this does not. A dog that shows more interest in sniffing the grass or other things nearby than the stranger is not a good candidate either. A good service dog knows what people are doing around him or her. You and your helper walk toward each other. You shake hands and speak with your helper. Have the helper touch your hair or upper arm for a moment as you talk. Have your helper pet the dog. You say goodbye and walk on. You’re looking for the same response as exercise #1. The only difference is that you want the dog to wag their tail calmly and gently seek more petting when the stranger touches them. Snapping or backing away from being petted is definitely a no. Also, if your dog ignores the petting or shows the negative responses of yawning, whale eye or lip licking, it’s probably not a good idea. Stand about 4 feet away (no closer) from your dog while you hold the balloon or the pot in your hand. Pop the balloon or drop the pot on a hard surface to get a sharp, loud noise. If you’re a lucky duck, you’ll have a dog that merely turns an ear or ignores the noise completely. Make sure to get their hearing checked, but otherwise this is a great response! Another good response here is if your dog startles by jumping a bit or turning quickly to look at the object and goes to investigate. If they back away initially, that’s ok as long as they don’t act frightened of the balloon/pan afterward and go forward to investigate after a second of being surprised. If your dog cringes, pees on the ground, runs away, barks or growls or anything similar to that, your dog is not going to be a good service dog because their noise sensitivity is too high. Have your helper shake the can of pennies loudly behind their back or behind a car or building about four feet away from your dog for 20 seconds. You can say “Find it!” or “Where is it?” or other encouraging things if you want while the can is shaking. Just like I said in exercise #3. Except in this case, you definitely want a dog that investigates the noise. I think this is really important if you cry out loudly during an attack or episode. 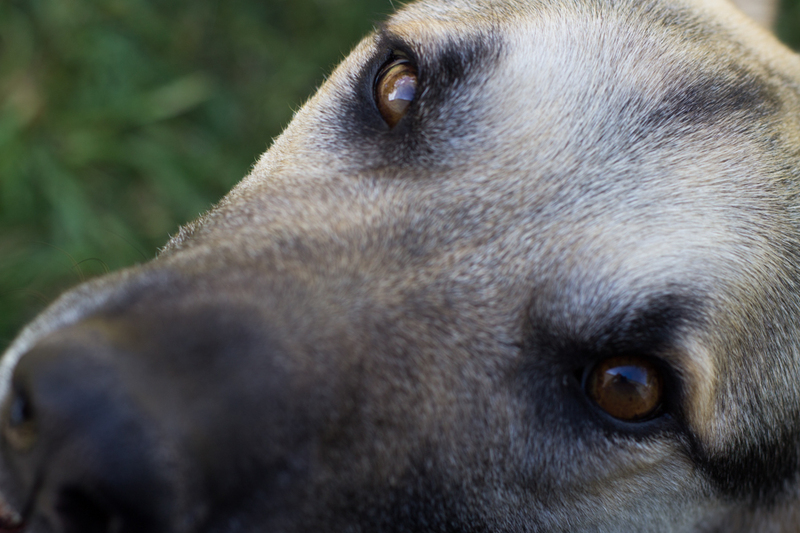 You need your dog to be curious and not scared of loud, odd noises. Have your helper let the dog smell their hand. Then have them pet your dog all over. Under the chin, over the muzzle, over the head and back, down the tail. Then have them run their hands down the dogs sides and each leg. Then over the chest and abdomen, and then have them pick up each of your dogs four feet. The best response is if your dog responds to all the attention calmly and happily. You want them wagging their tail and asking for more petting gently. When pinched, they pull away their foot silently or yelp (even backing away for a second), but they quickly come back for more petting and love and forgive your helper. A dog that growls, tenses or snaps is a dog that is not a good service dog. Please don’t try pinching their feet. If your dog cowers or pees, pulls away or yawns loudly, you’re not looking at a good candidate for service work unfortunately. You also don’t want a dog that is jumping around, nipping or licking. Maybe look into agility if you have a dog that enthusiastic about getting petted or let them get a little older if they are still young. Here, you want your dog to ignore the umbrella, startle for a second, or just prick their ears forward. Then, your dog should go check the umbrella out when you encourage them to. If your dog barks, growls or attacks the umbrella, that would be too aggressive a response. You also don’t want your dog to jump and then stay away, run and hide or pee. For this test, you’re seeing what your dog does when they come across something that feels weird to their feet. You’ll lay out the exercise-pen, baby gate or piece of chain link flat on the grass and have your dog walk across it. You want your dog to walk all the way across the pen (lengthwise) without jumping off. You wouldn’t want your dog to flip out if you came across a different surface while you are out and about. Your dog should be steady on new textures. If your dog walks on it for a little bit, but then jumps off, that isn’t a disqualifier. You just may have to do a little work on textures. You don’t want your dog to touch it and then immediately try to get away from it. Also, if your dog can’t be led onto it at all and tries to back away, that is not a good sign. Your service dog is going to see a lot of different people in his or her life out and about with you. You might encounter drunk people. You might see people with disabilities. You might meet people with turbans, hats or different skin colors than you. You want your dog to respond calmly to these people/dogs. They can act casually interested or ignore the people and dogs. A service dog needs to be bombproof around other people and other dogs, no matter what they act like – as long as you’re not getting hurt at least. A dog that barks or growls or otherwise acts aggressive is not a good candidate. A dog that pees, runs away, cowers, yawns or licks their lips a lot is also not going to be a good candidate. This is a tough one for lots of dogs. Many dogs will react to weird people, because they haven’t been socialized to them. If you have a dog that reacts calmly, you’ve found a good one! Throw or shake the ball/toy for your dog. Does he or she chase it or want to play with it? If so, this is actually a good way to see how trainable your dog is. Dogs that want to play with toys tend to be more easily trained. If your dog wants nothing to do with toys, he or she might have a hard time learning and focusing on the exercises you need to teach them. And one last thing, not really a test item. Does your dog have recent vaccinations? Has he or she seen a veterinarian recently and given a clean bill of health? Is he or she on heartworm medication and has he or she been tested for heartworm and looked at for fleas, ticks or other parasites? Have hips and elbows been x-rayed and other breed-related genetic disorders tested for? A healthy dog is very important for service work! You don’t want to your dog to get hurt. A good service dog is worth his weight in gold, so if you can check off good responses on all of these, be excited! A calm, respectful, healthy dog is hard to come by and this dog will likely make a great service dog. If you’d like this test in a nice checklist format, Get the FREE PDF download right here! I’m wondering if you think any of these test items are more important than the others. If so, which one do you think is the most important for your dog to pass to show they have a good temperament for service dog work? Hey, so I am looking to pretty much do exactly what you did: train your own service dog for anxiety (and, at least for me, panic attacks and dissociation as well). I was already in the process of looking for a dog when my panic attacks increased significantly, that then led me to look into getting a service dog. When I found out that I could train my own I knew that’s what I really wanted to do, for many reasons. This article really helped me with what I need to be looking for in a dog (I’m adopting from a shelter). I know it will definitely not be easy at all, but I’m up for the challenge. But I have a few questions for you if that’s alright. – How did you know that your service dog was right for you? Did you just kinda know? Did you perform the tests above? – What are your favorite resources for training your own service dog? – How was it for you getting officially classified as disabled, especially with a psychiatric disability? – Was it difficult to get used to having a service dog with all the time? – How do you make sure your dog knows when they’re on duty and when they’re not? – How do you train your dog to do your specific tasks? Should I work with a private trainer or do it myself? – do you have specific products you’d recommend for training? What about clicker training? Wow this is long, sorry about that! Nice site! 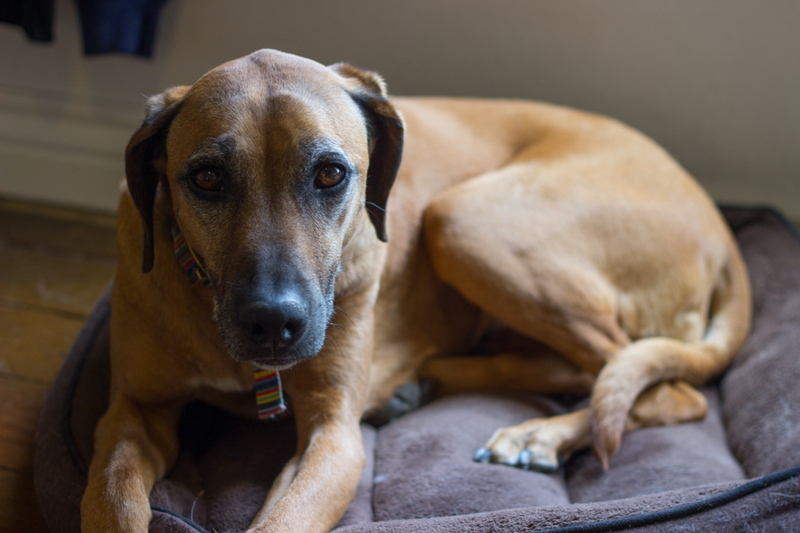 Am also interested in learning my ridgeback to support me with anxiety and other issues I have. Hi Aaron! I would recommend talking with a behaviorialist. Dogs that are raised from puppyhood by humans often have trouble like this and it’s best to consult with a certified behavioralist for help to be safe. Greetings, My dogs passes all the tests with flying colors, even balloons, pots, pennies and bagpipes. He is fine with fireworks too. His one exception is that only some (not all) strangers may touch his feet. He makes a warning noise when it is unwelcome. Generally he likes paw/hand holding. He is being trained to be a stability dog. Does this mean he should not be my stability dog? Honestly, that doesn’t sound like something to be too worried about. It is something that can be worked on as well, you can have strangers give him treats as they gradually get nearer and nearer to touching his feet. This is more of a test to see how a dog will react if a stranger accidentally steps on them or a kid accidentally hurts them. It is safest to have a dog that doesn’t react to that sort of thing – the worry being that a bite might happen. The less reactive a dog is to feet touching, the safer they are to be around. So you’ll just want to judge and decide if your dog will be ok if there is accidental injury from a stranger. Next PostNext How Do I Keep People from Petting my Service Dog in Training?